Thomas Keneally, Australian author, has written an open letter to ‘Shooty’ whose despair under incarceration led to an untimely death. 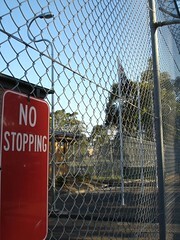 Read it at Sri Lankan Asylum Seeker Commits Suicide in Villawood. As a resident of the city that just hosted CHOGM as well as a refugee advocate who has just about run dry of “appalled” responses to our labyrinthine asylum seeker assessment regime, I experience Keneally’s piece opening up fresh reserves of focused anger and lament that our country has come to this. My previous post feted some of the positive aspects of CHOGM. Today’s post acknowledges the dark side. What might a Commonwealth of Nations that is at one under a charter of human decency require of repressive governments, both those that create the huge people movements of this era and those who fail to properly receive those seeking refuge? How long before we have an inkling?